Not everybody can express their thoughts fully and effectively via blogging. This is why some have branched out into multimedia blogging. There are three popular types of multimedia blogs: podcasts, photoblogs, and video blogs or vlogs. A podcast is a digital audio recording of a person or persons discussing a topic or theme. Podcasts usually revolve around technology, industry, or entertainment topics. These are recorded, edited, and uploaded so that your blog audience can download them. 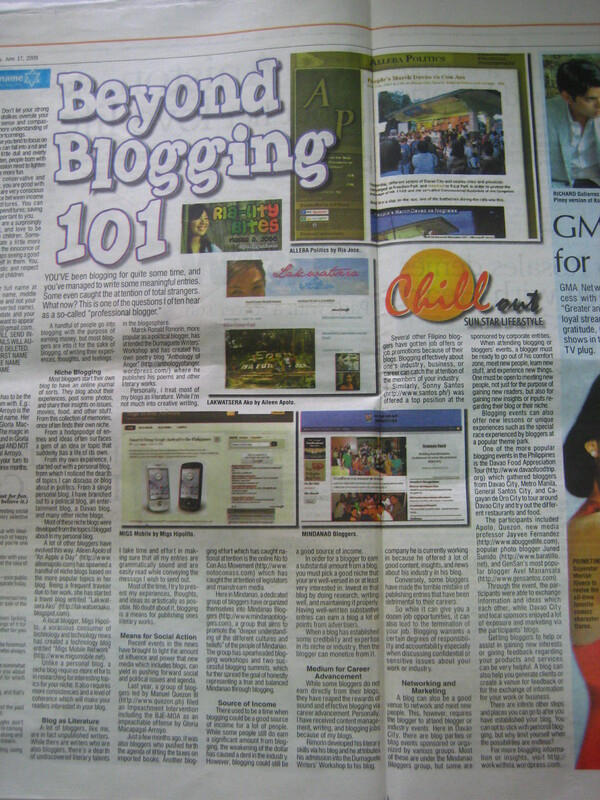 This type of multimedia blogging is, of course, those who express themselves better via speaking rather than writing. Aspiring disk jockeys, singers, or musicians can use this medium to develop or promote themselves and their talents. Another popular form of multimedia blogging is photoblogging. With the advent of technology, every person now has access to good quality digital cameras. One does not need to have an expensive DSLR camera in order to start a photoblog. One popular photoblogger, Fritz Tentativa captures images using an N82 camera phone. One just has to have the eye for capturing that shot which will be best convey his message or share his experience. Finally, there’s vlogging. With a digital camera or a web camera, one can take videos, record performances, or stage shows which he can then edit and upload online via YouTube or Vimeo. Along with a short introduction or commentary, these videos can be compiled via a video blog. Video blogging can be a powerful medium when reporting events, showcasing or featuring a place or product, or sharing talents and skills. The article aims to encourage newbie bloggers or those interested to blog to explore other possibilities in developing their blogs. As bloggers, we must always be open to new ideas , evolve somehow, in order to sustain the interest of our readers and develop our skills as well. Do you have any other topics in mind or questions about blogs and blogging? Post them here. Thank you for the mention and the back link. Cheers!